Matt and I actually ended up completing a 32 day Paleo challenge. Why 32 days? Well because we were too scared to cheat! Which was something if you would have told us on Week 1 we would have laughed in your face. Because I remember spending hours during that first brutal week planning out all the delicious things we would eat. But by once it ended we were so comfortable eating Paleo and so used to cooking for ourselves- we just didn't want to quit. But then my cupcake dreams kicked in again. Yes, cupcake dreams. 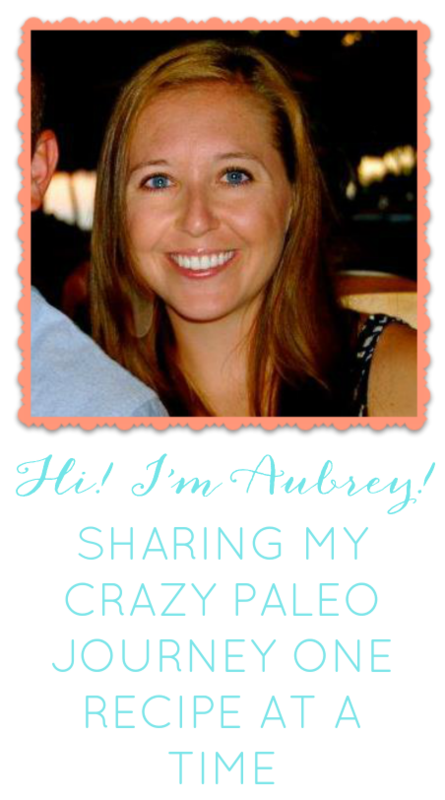 I had several dreams during the Paleo challenge that involved me eating cake and/or cupcakes. So on Wednesday I grabbed myself a cupcake from Whole Foods that is the best cupcake ever. It is actually gluten-free, made of almond flour, and delicious. So I ate this delicious little piece of heaven on our way to Vegas (yes, again) for the weekend. My beautiful friend Kasey got married! And I was in the wedding. So we headed back and got in Wednesday night. We ate some Brian's bowls and went to bed. We woke up Thursday had some Bananas and I headed to get my nails done with the girls. After nails I did some shopping for the Bachelorette party and met Matt at Zabas for a burrito bowl- Paleo, of course. For dinner we met some friends at a sushi place. We ordered some salads and chicken teriyaki- minus the teriyaki. It was actually pretty good! Then I went out with the girls! And I cheated with some alcohol. And then on the way home in the wee hours of the morning (Matt picked me up) I made a terrible decision. I will say I was not thinking clearly, and asked Matt to take me through the drive thru. I wanted some Taco Bell. It was closed. So we went next door to Jack in the Crack, I mean Box. And I ordered some fries and the most disgusting looking taco I have ever seen. And then I ate half that taco and a small french fry. And I felt HORRIBLE afterwards!!! It did not even taste good! But I did it. And then I paid for it the next day. I had really bad cramps, and spent a lot of time hanging out in the bathroom. It was so not worth it. But, hey, no one is perfect. And I learned a valuable lesson- don't ever eat Jack in the Box again. I even took a picture just for you guys- Gross huh?? I made Matt promise to never to listen to me again when my belly is full of tequila and my brain full of bad ideas. On Friday I woke up, chugged water and ate a banana. Then I headed to the rehearsal! After that Matt and I headed to the rehearsal lunch at Bucaa Di Peppo. One of my family's favorite places to eat. There was one Paleo choice- a salad. So we watched everyone eat chicken parmesan and pasta. BUT after the night before I was happy to watch and not partake! So we headed to Whole Foods after and ate some lunch. Then for dinner my family BBQ some chicken and we ate it with veggies and cauliflower rice. ( I know I was out of control!) But just like my experience- Matt paid for his with cramps and a few dates with the bathroom. So on Sunday- which was Mother's day, for brunch my grandmother made a wonderful meal and made us some Paleo options ( I know, she is awesome). We had eggs, sausage, ham, avocado, tomato and some eggplant, squash sliced thinly and cooked in tomato sauce. It was delicious. We ate some chinese food for dinner, (Veggies and meat- but I know there had to be tons of soy :( .. so I guess that counted as another cheat). After that we knew we were done. Done with cheating, done with gluten and ready to get back on the Paleo wagon. So here we are! Today is Monday. And we have been 100% Paleo today and worked out twice at our box. Breakfast was a banana and lunch was some Zankou chicken with a salad. Then for dinner I decided to make something new and I created a little dinner. I shall call it...Turkey Stuffed Bell Peppers with Tomato Sauce. YUM. Step 6: Add the turkey meat with some salt and pepper. Step 7: Add the can of diced tomatoes and cook until the Turkey is cooked through. Step 9: Add spices to your liking ( I added crushed red pepper, garlic powder, basil and italian seasoning). Step 10: Fill the peppers with the turkey mixture and stick it in the oven. We were starving so ours only cooked for 10 minutes and the bell peppers were still crunchy. So I would keep them in until the peppers start to brown. Probably closer to 20 minutes, but if you like fresh bell pepper then 10 minutes is perfect. Step 11: Take em' out and enjoy!